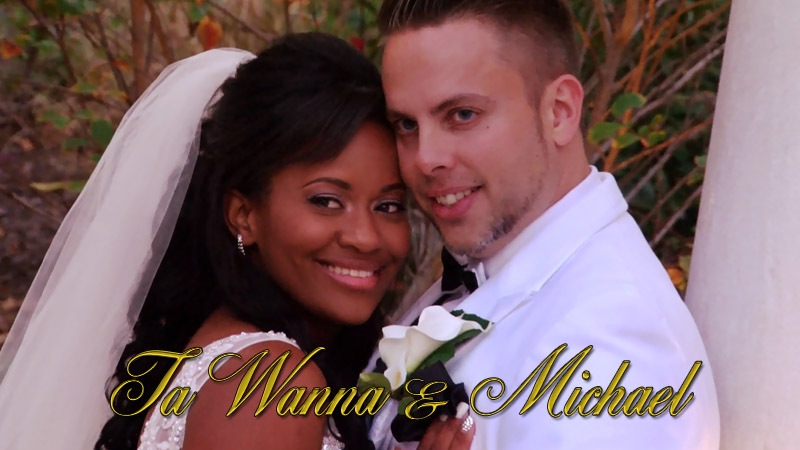 It was such a pleasure filming the entire wedding ceremony and reception of Ta Wanna and Michael at The Waterfall in Clainont, DE. It was a gorgeous October day for an outside ceremony. The guys got dressed at The Waterfall while the girls were getting ready just a short car ride away at The Crown Plaza. The grounds at The Waterfall were spetacular and offered an array of photo oppurtunities. The staff were excellent with keeping all the vendors informed with details and kept everything running smoothly can't wait until we work there again. The Waterfall is a beautiful venue in Delaware. There are spetacular blown-glass chandeliers in the foyer and crystal chadeliers with marble dance floors in the ballrooms. The manicured gardens offered the perfect setting for an outdoor ceremony. The Waterfall is in Claymont, DE and we were very impressed with the beauty of the venue, service and hospitality. For more information about The Waterfall Weddings click here.